On September 16, 2014, The University Innovation Alliance was officially launched. 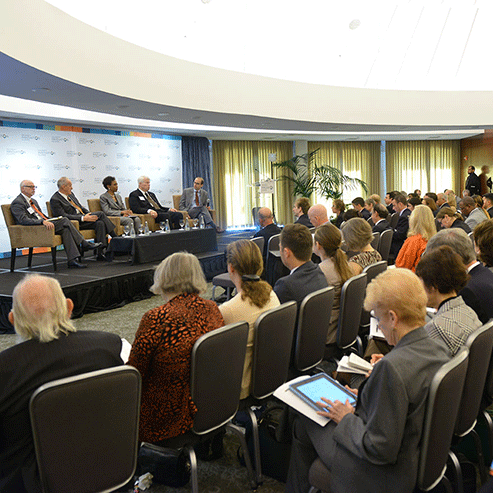 The launch, hosted at the Ronald Reagan Building and International Trade Center, was attended by various institution leaders, students, policymakers, and media. The University Innovation Alliance is a group of 11 institutions committed to sharing innovative practices to improve graduation rates. Alliance members will work together to adapt, scale and spread proven interventions from mentor to mentee institutions within the group. Innovations will be further tested and evaluated as they are scaled and the results will be disseminated to the higher education community for continued improvement of the field as a whole.